This is an inflammation of the eyelids, usually caused by an excess growth of bacteria. Blepharitis commonly occurs when tiny oil glands located near the base of the eyelashes malfunction. This is an often chronic condition that is difficult to treat and can be uncomfortable and may be unattractive, but it doesn't cause permanent damage to the eyesight. 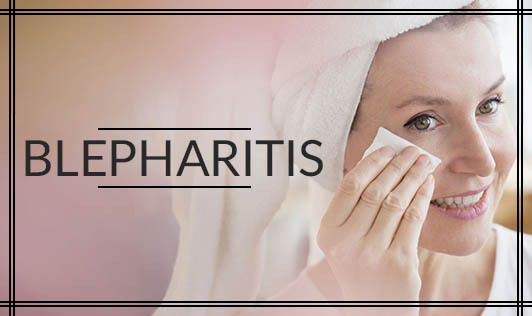 If you have symptoms of Blepharitis that don't seem to improve with self-care, contact your doctor at the earliest!